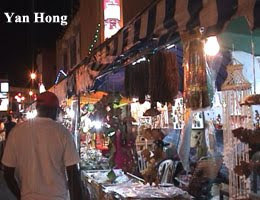 As Deepavali just around the corner, Malacca Little India at Jalan Bendahara will as bustling as Malacca Jonker Walk. If you are coming to Malacca on Deepavali eve, have a evening walk at Malacca Little India to explore the Indian festive in Malacca. Malacca Little India is located at the city centre and just lest then 5 minutes walking distance from Renaissance Hotel or City Bayview Hotel. 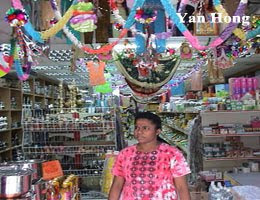 You can get any Deepavali festive supplies from here including festive ornaments, utensils, clothing and cookies. Just like one-stop shopping. 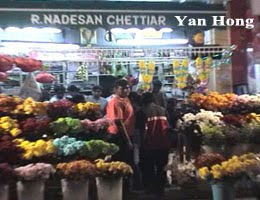 Long ago, there were only a few shops managed by Indian at Jalan Bendahara. 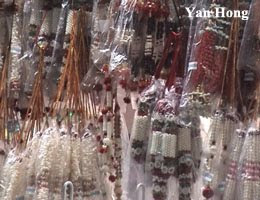 Lately, many Indian shopping outlets had emerged here and gradually formed an Indian Street. That's why it was named Malacca Little India. Comparing with Singapore Little India, Kuala Lumpur Little India and Penang Little India, Malacca Little India is truly a Little India. I believe that one day, Malacca Little India will become a popular tourist attraction in Malacca. thanks for the visit on my page.....would love to go there!